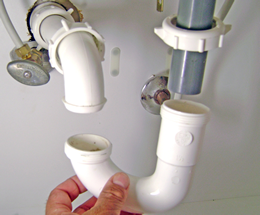 Sterling Mainz & Sons offers many different plumbing and plumbing repair services. We believe in great service and professional work. The only way to do a job is the right way, honestly and professionally. We know that it is very important that your plumbing fixtures, drains, toilets, water heaters and boilers are working properly so we offer plumbing maintenance and emergency service. We always go the extra mile to make sure you are completely satisfied with the job. We always have the very best products because our customers only deserve the best. All of our workers are fully trained and licensed technicians. At Sterling Mainz Plumbing & Pumps, we know you don't want to have to worry about clogged drains or broken water lines. Let us worry about them for you. We stand behind what we service. We guarantee you'll be 100% satisfied with a job well done. Our friendly and knowledgeable experts will be on hand to handle any questions or concerns you may have. We want your plumbing experience to be as simple and worry-free as possible.